Nashville, TN – As the school year comes to a close, many Tennesseans are turning their attention to family vacation plans. 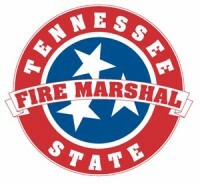 The State Fire Marshal’s Office asks that you remember to incorporate fire safety into travel plans before hitting the road for your summer retreat. “Hotels and motels become a home away from home for travelers, so it is important to become familiar with new surroundings and to have a plan in place should an emergency arise,” says State Fire Marshal and Commerce & Insurance Commissioner Julie Mix McPeak.